Aliport Commercial were first contacted in April 2016 about this project by a contractor that we have undertaken a number of installations for. 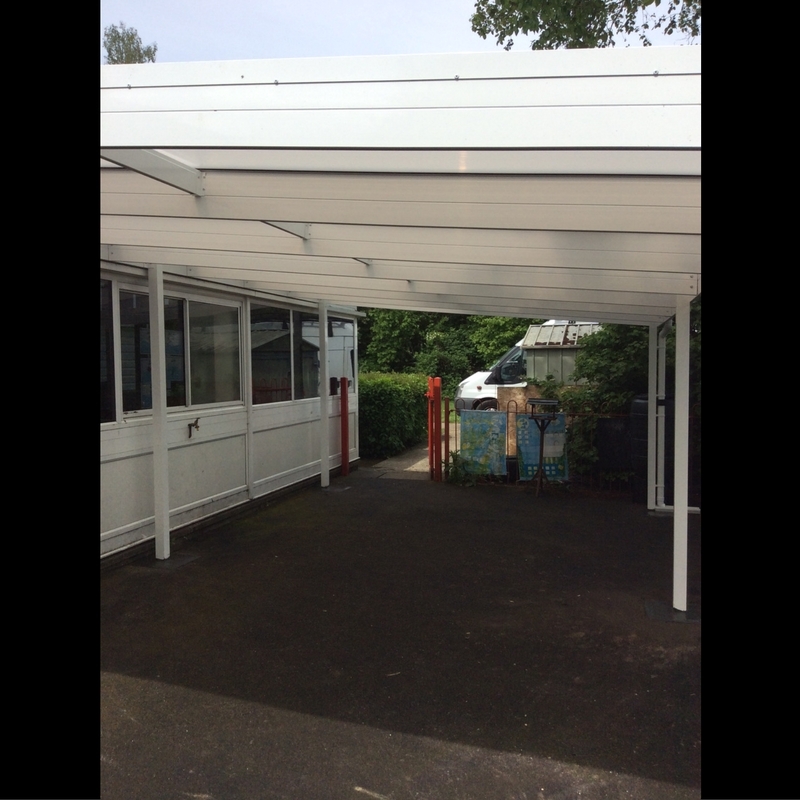 Mill Hill Primary required an Outside Teaching Area that provides additional Space and Shelter. 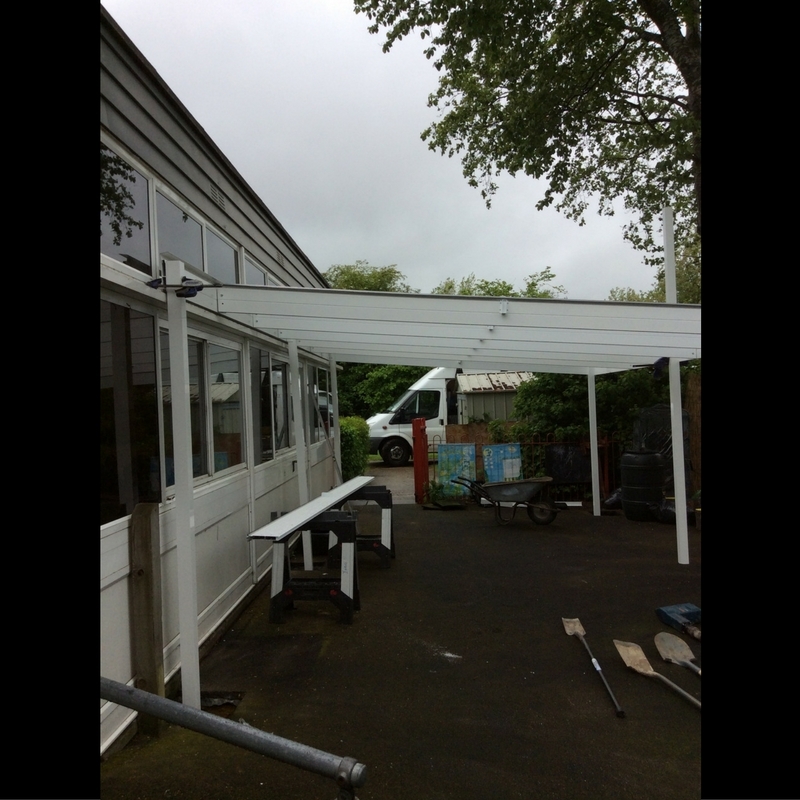 The canopy was required in White. 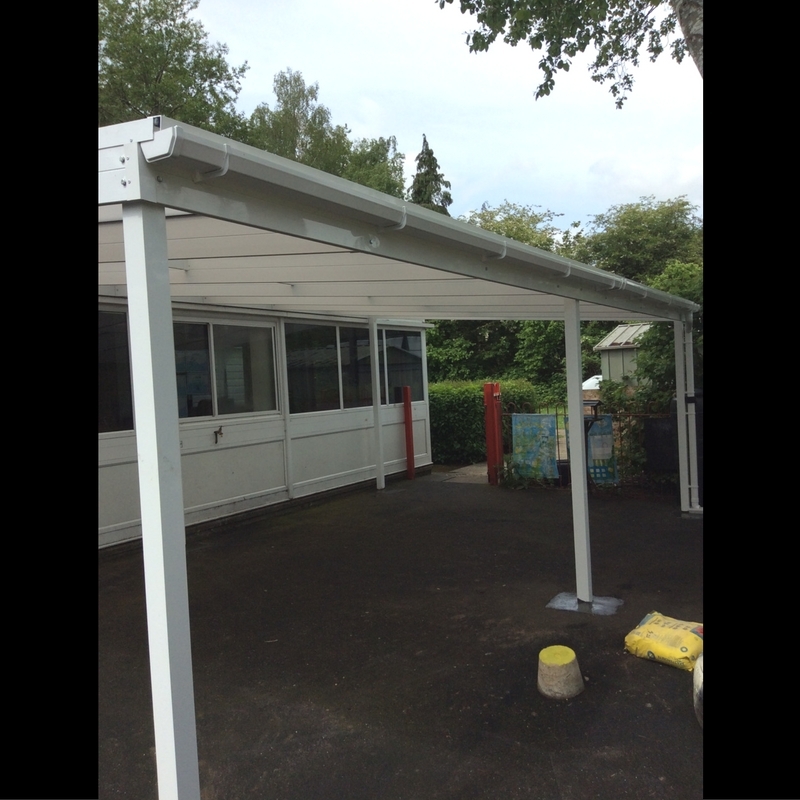 The Canopy was required in a short time scale as installation was required in May. Aliport Commercial undertook one site visit to fully understand the project, measure up and produce the designs for the new canopy to be installed. 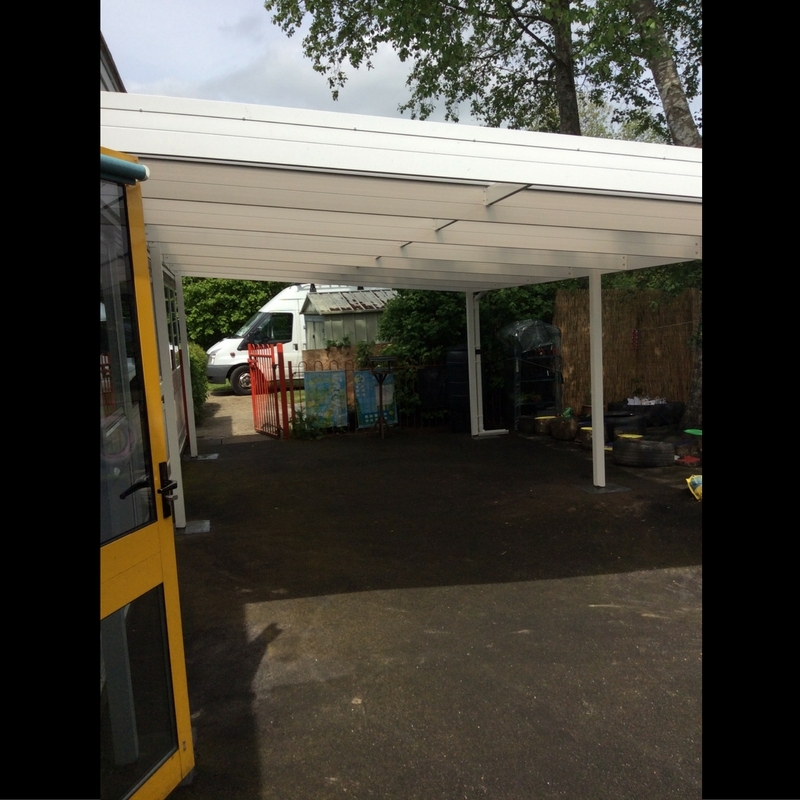 The site was in good order and easily accessible providing a straightforward installation. Aliport Commercial commenced works in May 2016 and over a 2 day duration installed the canopy. The Canopy has been powder-coated White. 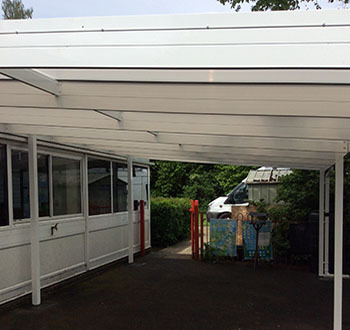 The installation was completed successfully and provides an attractive and functional outside teaching area. 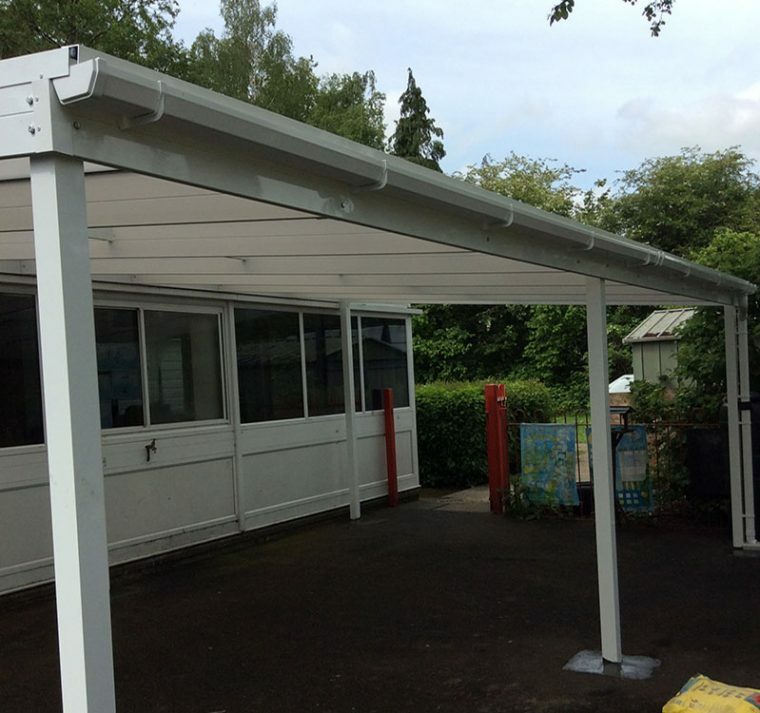 Mono Canopies create stunning and spacious outdoor teaching areas and outdoor play areas. . .